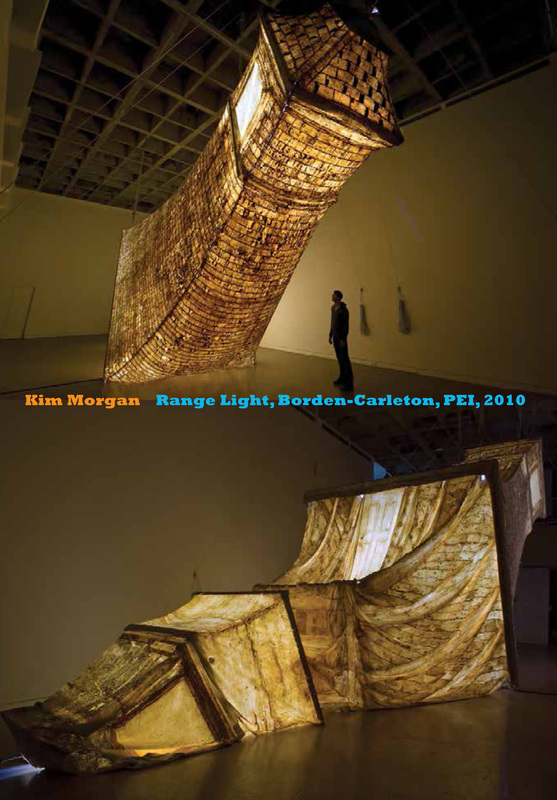 In the summer of 2010, MSVU Art Gallery invited artist Kim Morgan to create a site specific installation for the two-storey exhibition space. Rising to the challenge, Morgan cast a lighthouse in Borden-Carleton Prince Edward Island in latex, and using wooden framing and nautical rigging, reconstructed it in the Gallery. Range Light, Borden-Carleton, PEI, 2010 is a paradoxical expression of the relationship between inert materiality and living presence. Morgan’s soft architecture makes an unprecedented contribution to the scope of contemporary sculpture in Nova Scotia. The catalogue features an essay positioning the piece within the context of modern sculpture, by curator Ingrid Jenkner.